ThyssenKrupp Australia has acquired Pilbara based Maxx Engineering. 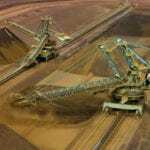 According to ThyssenKrupp the acquisition is part of the company’s strategy to expand its iron ore services in the Pilbara. It follows the business opening a plant service centre in Henderson, WA, late last year. Speaking on the recent acquisition, Greg Breakell, CEO ThyssenKrupp Industrial Solutions (Australia), said “the acquisition of Maxx Engineering is an important step for ThyssenKrupp Industrial Solutions to strategically invest in the expansion of our country-wide service network in Australia”. He went on to say Maxx Engineering will continue to provide its support machine maintenance, breakdown service and emergency repairs services to its current clients in and around Port Hedland, and continue to operate under the business name Maxx Engineering. ThyssenKrupp has appointed David Derman as manager, with the existing management staying on to support the transition. Following the acquisition the business has already secured a contract worth more than $2 million. “It is a fabrication, assembly and installation project of pre-cast footings, formation access stairs, bridge access stairs and safety handrails at bridge sites between Port Hedland and a customers’ mine site,” ThyssenKrupp said. No value was given on the takeover of Maxx Engineering.